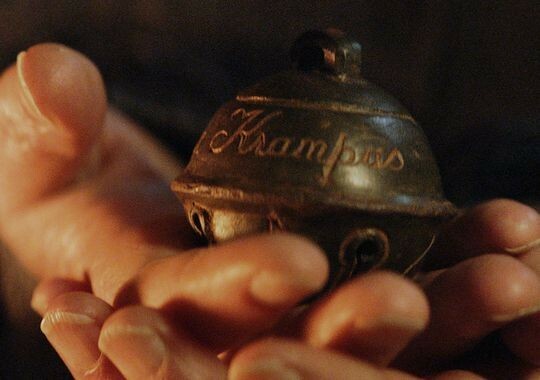 TRAILER TALK: Krampus; a twisted Christmas-themed horror fantasy film by Michael Dougherty, the man behind Trick ‘r Treat and the upcoming Trick ‘r Treat 2. Ever since Rare Exports: A Christmas Tale (2010) I’ve been waiting for the next great holiday horror movie. Rare Exports was pretty good and I consider it a very special holiday horror fantasy that holds a place in my heart, but it didn’t quite live up to the two short films (“Rare Exports, Inc.” (2003) and “Rare Exports: The Official Safety Instructions” (2005)) that generated all the hype leading to its creation. But there is hope!!! 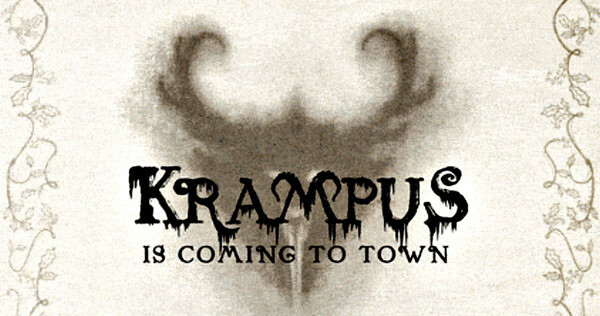 Michael Dougherty—the brilliant mind that wrote and directed the much celebrated Halloween horror anthology Trick ‘r Treat (2007) and is working on the upcoming Trick ‘r Treat 2—has returned to bring us the twisted cautionary Christmas fairy tale of Krampus. I know, I know. We get so excited about trailers only to get all hyped up and have our hearts broken. But hold on a sec. You recognized a lot of faces in that trailer, didn’t you? This has an impressive cast, so evidently Dougherty’s script made a strong impression. Among them are Adam Scott (Hellraiser: Bloodline, Piranha 3D), Toni Collette (Fright Night, The Sixth Sense), David Koechner (Final Destination 5, Cheap Thrills) and Conchata Ferrell (Edward Scissorhands, Two and a Half Men). The cast has a fair share of horror experience and plenty of comedy experience as well. This film doesn’t seem to take itself too seriously, which is good—great, in fact. 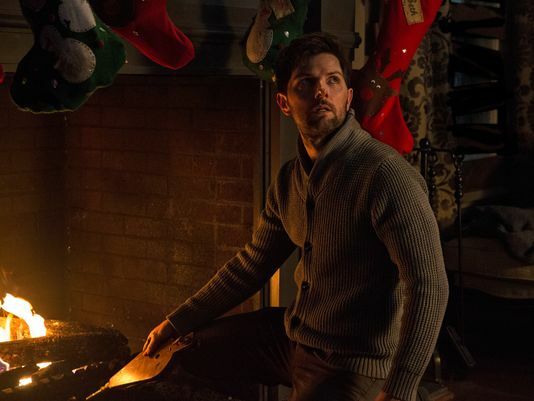 The trailer is littered with holiday humor, including chaotic shopping and crotchety family members clashing with more uppety ones (e.g., Adam Scott and David Koechner eating at the dinner table). It also has a lot of dark scenes like evil toys and a giant Krampus on the roof. This has a lot of promise!!! Moreover, Doughertys’s Trick ‘r Treat was an impressively nuanced Halloween anthology with diverse effects and expertly interwoven stories. 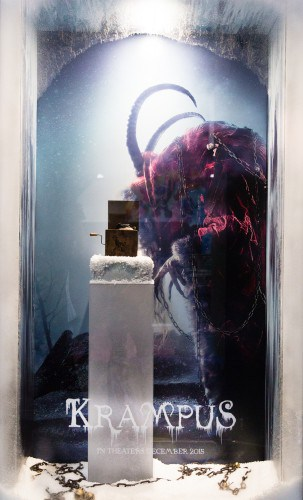 The movie blew away my expectations and it now leaves me hopeful that Dougherty has just as lovingly and patiently architected Krampus. This could also be decent; probably bad b-movie fun. But it doesn’t appear to have the same potential to be “good” like Krampus does. ← John’s Horror Corner: Creepshow (1982), a classic, campy, nostalgic horror anthology from Stephen King and George Romero! This is going to be a great Christmas! God bless us, everyone. Yes sir. 2 Christmas horror movies!!!! This looks awesome – finally, a Christmas movie I’m actually looking forward to! 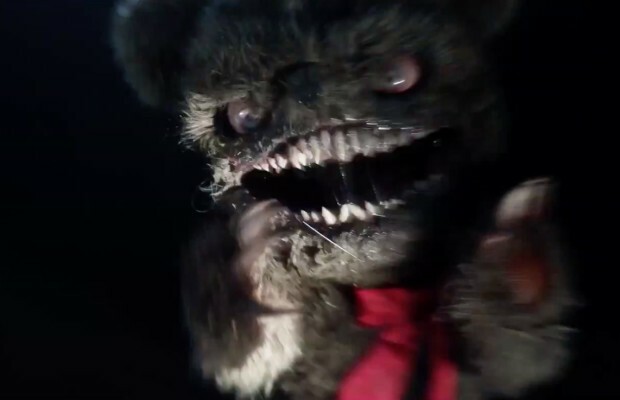 There is also A Christmas Horror Story (trailer at the end of the article), which I expect will be a lot of fun as well but probably not as good as Krampus.